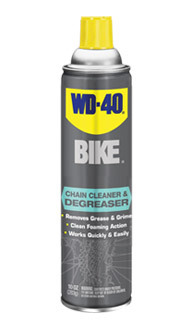 If your chain needs cleaning, try and do so with it still on the bike. Breaking your chain repeatedly weakens the link and over time can lead to failure. If the chain uses a master link or a "quick link," avoid breaking it unnecessarily, as most modern "quick links" (mainly on 10-speed chains) are single use only.